As we age, our skin loses its elasticity and the amount of collagen, elastin and hyaluronic acid in our skin decreases. This leads to the formation of deeper lines, grooves and folds in our brow, next to the nose and down to the corners of the mouth. To a great extent, many of these cumulative changes can be prevented by the daily use of sunscreens, anti-aging creams, adequate hydration and sleep. There are now newer technologies available that are clinically proven to dramatically improve the visible signs of aging without the need to undergo surgery. These include such treatments as Botox Cosmetic(R), injectable fillers (composed of hyaluronic acid), photorejuvenation, microdermabrasion, and glycolic peels. These are all simple, non-surgical, safe and effective treatments to help smooth out frown lines and give your face a more relaxed and refreshed look. Dr. Tammy Hermant is the director of The Midtown Health and Wellness Clinic, a clinic that prides itself in having created an environment that provides each patient with customized health care services. After practising medicine for over a decade, Dr. Hermant addressed a need that she had noticed was being expressed by many patients. She welcomed and listened to the feedback that her patients gave her about the type of health care services preferred. After much listening and thoughtful consideration, Dr. Hermant addressed her patients' desire to be treated in an integrative, holistic fashion. Hence, The Midtown Health and Wellness Clinic was established. Dr. Hermant provides medical care to a diverse patient population: to individuals of all ages and their families throughout their lifespan. She is especially interested in preventative medicine, women's health, skin care and anti-aging treatments. 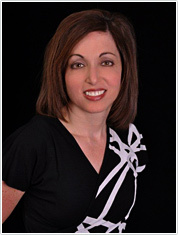 Dr. Hermant is committed to excellence and to providing her patients with attentive, caring and evidence based care. She enthusiastically embraces new challenges and delivers up-to-the-minute approaches to wellness and the practice of medicine.